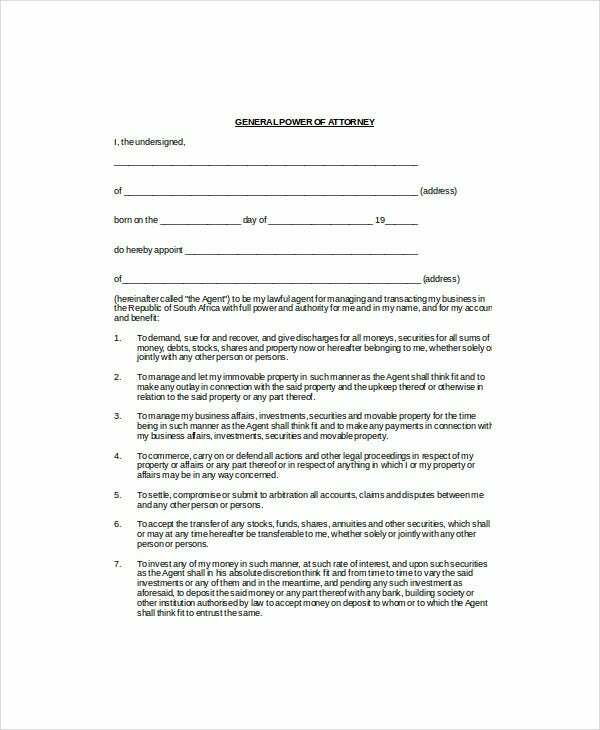 A Power of Attorney Templates refers to an agreement wherein a person legally appoints someone to take care of certain tasks or actions on his behalf when he is unable to handle it physically. The person appointed is called Attorney-in-Fact and the person appointing is the grantor. A POA agreement allows the Attorney-in-Fact to take care of investment matters, financial aspects like writing checks, buying or selling of grantor’s property etc. There are legal agreement templates specifically designed for Power of Attorney contracts to make the thing more convenient for you. 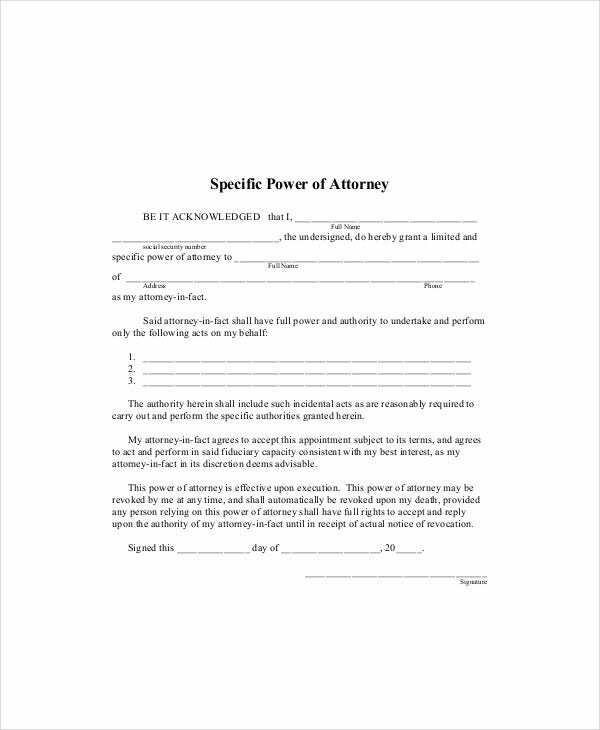 This special power of attorney template starts with the declaration by the grantor that he is appointing a certain person as his power of attorney and also mentions what actions the latter can take on his behalf. 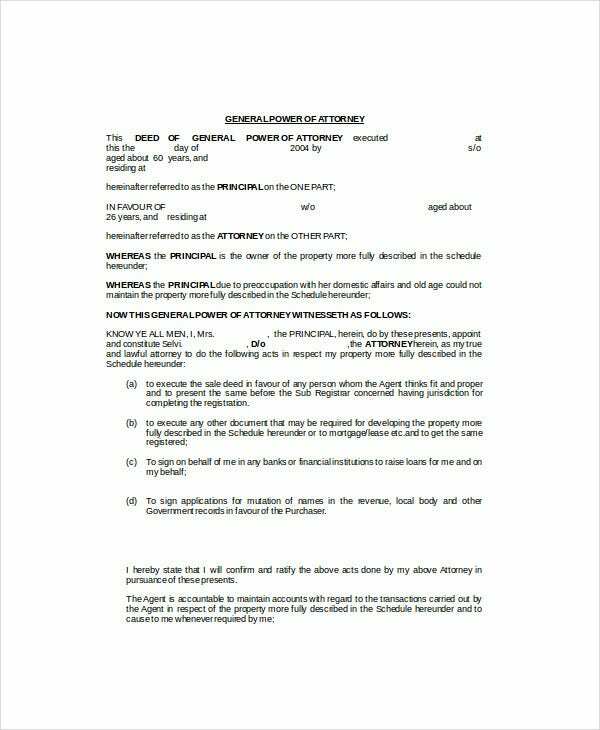 This power of attorney template would be useful if you are looking to appoint a POA to take care of selling your property. There is a detailed list of actions allowed for the power of attorney. 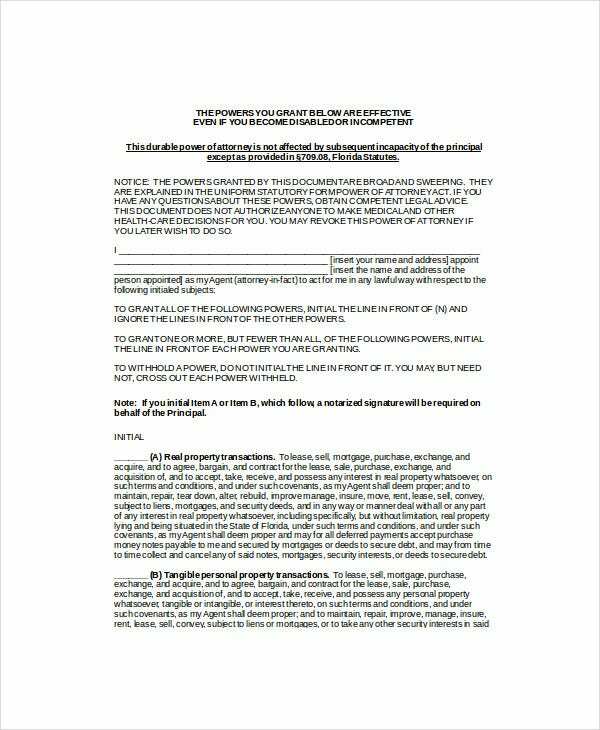 If you are looking to include any special instructions in your POA agreement along with the general long list of permissions granted to the Attorney-In-Fact, then this POA template here would be a cool deal for you. 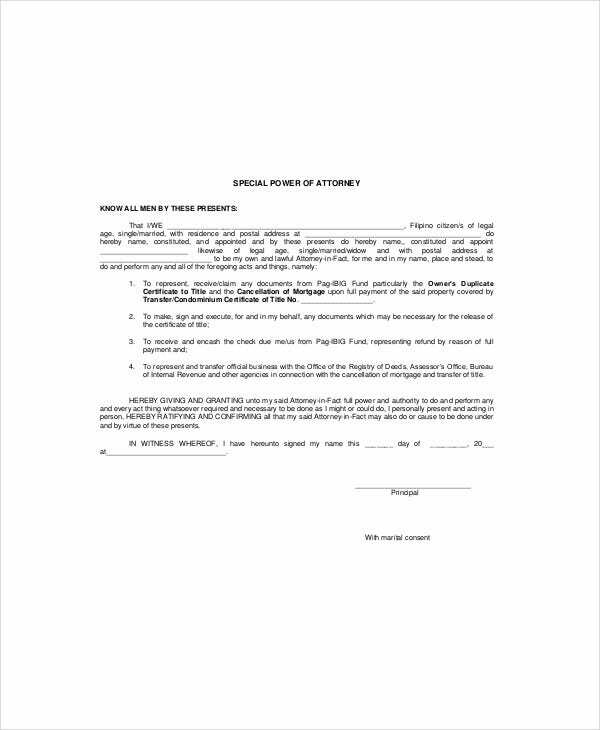 This limited power of attorney template will allow the grantor to include up to 3 matters for which the Attorney-In-Fact will have the permission to act on the former’s behalf. 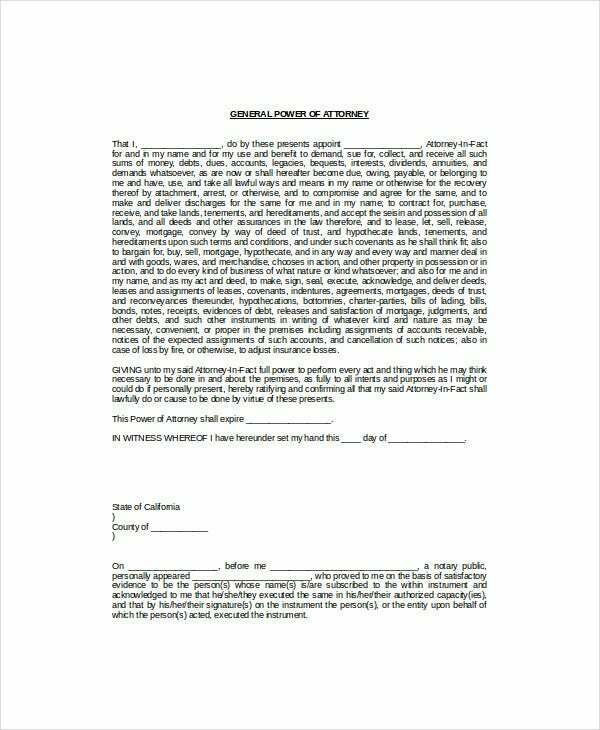 You can also see Power of Attorney Templates. 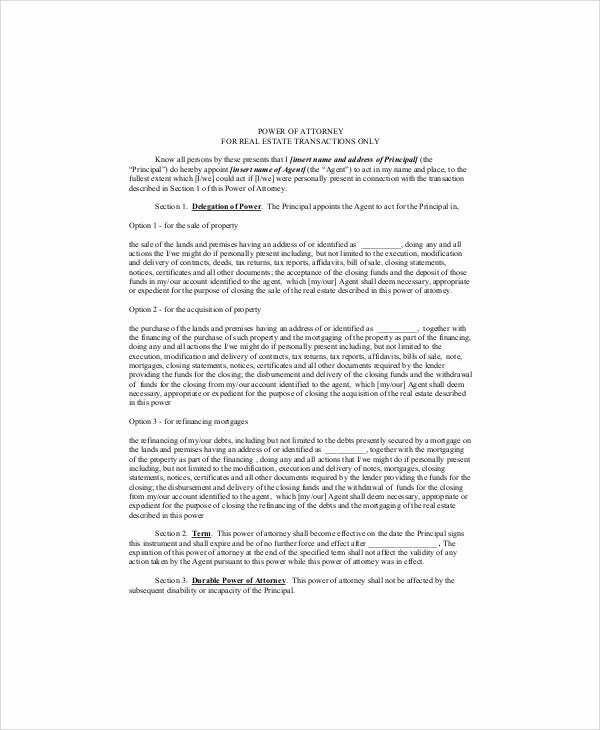 This is a brief power of attorney template which starts with the declaration by the grantor that he has appointed a certain person as his Attorney-In-Fact- followed by space to list 3 actions to be performed by the latter. 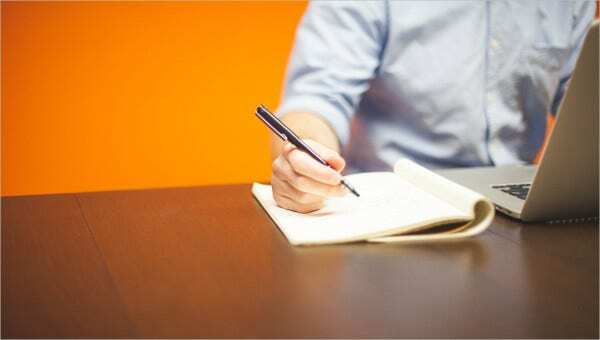 > What is the Purpose of Power of Attorney? The main purpose of Power of Attorney Templates agreement is to ensure that you will always have somebody to carry out certain important tasks for you when you are not around. There are some tasks that require your physical presence such as banking obligations, selling a property and so on. Now, it could be that you are somewhat incapable to present yourself physically to complete such tasks and in such situations having a power of attorney is really handy. When you have somebody appointed legally as your Attorney-In-Fact, you will have the peace of mind knowing that you still have someone to continue the tasks even when you cannot. 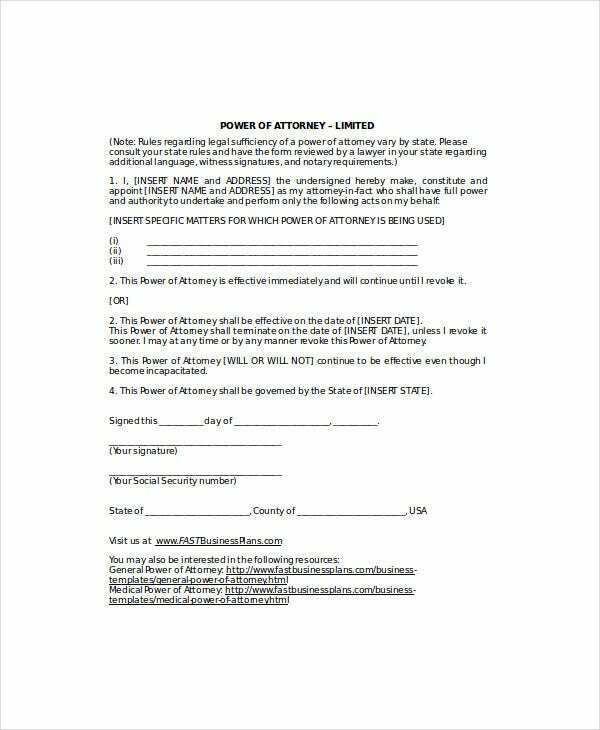 > Who Needs Power of Attorney? A power of attorney is needed by anybody who needs somebody else to perform the tasks that require the former’s physical presence. Such appointments are mostly required by those who are unfortunately disabled or sick enough to not be able to handle some tasks. Thus, you often have senior citizens appointing somebody trusted as their Attorney-In-Fact. Besides, young people too might need to appoint a power of attorney. This is especially relevant for those who travel a lot and can’t be in the homeland often. Many military personnel appoints somebody close as the power of attorney to take care of their family members and official tasks in their absence. > What is the Benefit of Power of Attorney? The main benefit of having a power of attorney is that it assures that you have someone to take care of your necessary tasks when you can’t be there physically. Your Attorney-In-Fact could be any person whom you and your family can trust whole heartedly and who is willing to take care of your responsibilities in your absence. 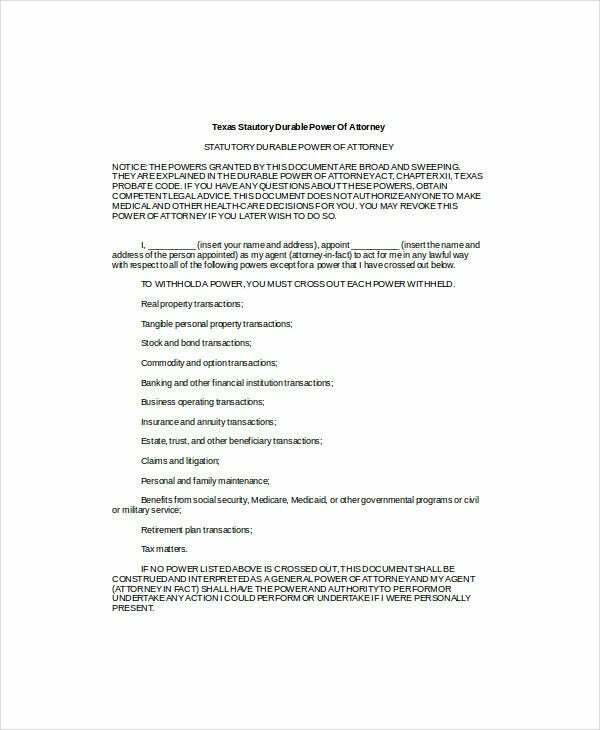 You can also see Word Power of Attorney Templates. Besides, such POA agreements allow one to list down what specific tasks or powers you are about to confer upon the agent so that there is no misunderstanding on the grant of power. Thus, when you sign a power of attorney agreement with anybody, you will always know that your liabilities and family are in best of hands even when you can’t be with them. 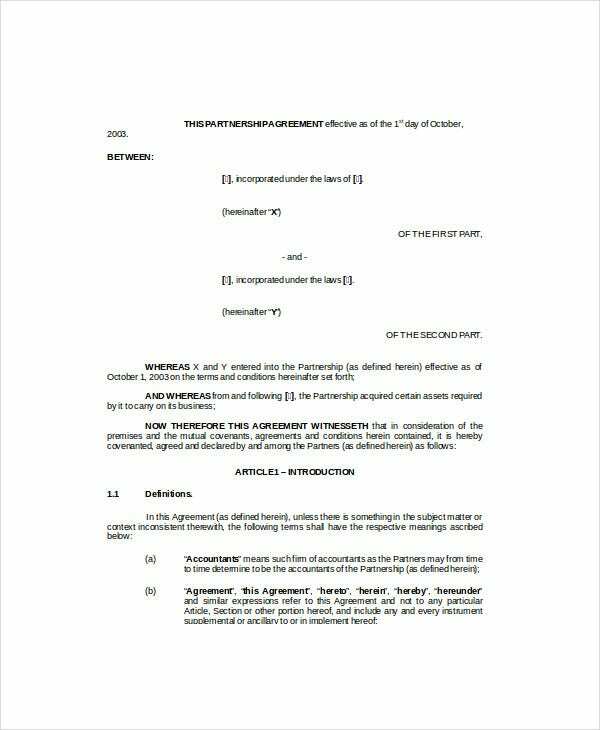 The POA agreement templates mentioned above are to help you with a standard official text that you have to follow while creating a Power of Attorney contract. From general POA agreements to those with limited power for the Attorney-in-Fact, there are pre-designed as well as easily customizable templates for all POA agreements.